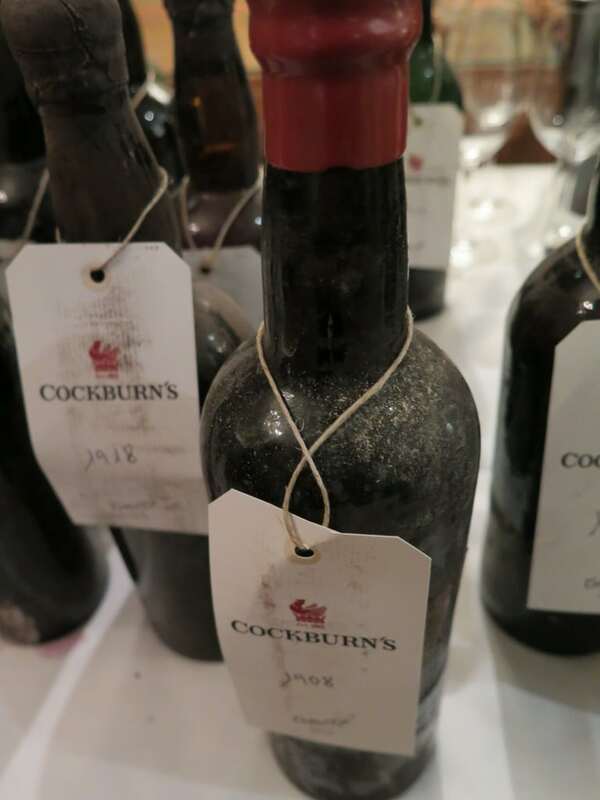 Giddy with anticipation, giddy thanks to the exquisite Port running through my veins, I could not wipe the smile off my face at Cockburn’s London Bicentenary Tasting. 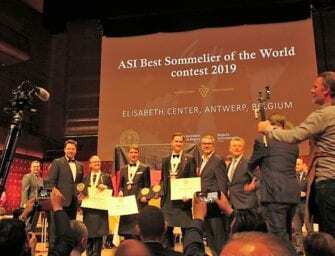 It was the finest, most exciting Port tasting of my life and I was not alone in my elation. 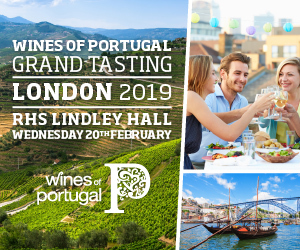 The Symington family famously wear their hearts on their sleeves and their boundless (“bonkers” in their words) passion for the Douro and Port wine, here their latest “baby”, spilled over. Great pride too for, although they produced only two of the 14 Ports before us, the Symingtons can take credit for reviving a brand whose reputation (and with it prices) for Vintage Port was once second to none under founding family the Cockburns and the Smithes and Cobb families. Of those Ports made during Cockburn’s heydey, the 1934 and 1908 Vintage Port were my absolute standouts – beyond stupendous given their age, with amazingly supple fruit and bags of elegant charm. The 1967, an eccentric declaration, shared their joyous fruit – so smooth, centred and graceful. Though not as concentrated (so I very much doubt it has the same staying power), I had a soft spot for the particularly elegant 1969. Reflecting on the Port house’s period of revolving doors’ corporate ownership between 1962 and 2010, first by Harveys then Allied Domecq then Beam, Paul Symington observed, “as a family we believe in general that corporate ownership is not a good fit with wine because it doesn’t encourage long-term thinking.” And so it was that, as a result of prioritising production of Cockburn’s hugely popular Special Reserve Ruby Port (launched 1969), the quality of Vintage Ports suffered and, with it, Cockburn’s prestige. Cockburn’s didn’t even declare renowned vintages such as 1977 though, watch this space, the Symingtons are trying to persuade the IVDP retrospectively to declare it. Describing the wineries as “in appalling condition,” Charles reported that the main area for improvement was vinification. He says it made no sense to use thermo vinification which is better for grapes which are not very ripe, so “made no sense at all in one of hottest areas of Douro [most of Cockburn’s vineyards are in the Douro Superior].” He dispensed with pumping over in lagares which he says turned “must into something like a milkshake and, being highly oxidative, was not ideal.” The industrialised refrigeration process for all wines was switched off within four weeks. 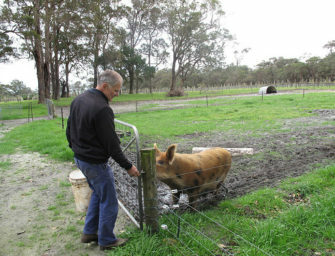 Charles reckons that the wineries were also producing perhaps double the amount they should given their size, which contributed to growers’ grapes (which were paid for by weight, not the best quality incentive) being mixed with “amazing” grapes from Cockburn’s own properties. Instead, Charles diverted Cockburn’s grapes to the Symington’s own small wineries. 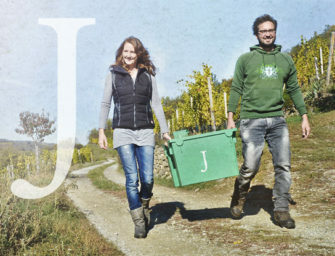 The other reason why growers’ and Cockburn’s grapes had been lumped together stemmed from the fact that the company was under-resourced with technicians, so harvest dates were not based on best moment to pick but rather based around logistical considerations. Charles observes “there was clearly no co-ordination between viticulture and vinification, which is what I spend most of my time doing. I know what’s happening in every winery and I’m constantly watching the forecast and adapting while Cockburn’s vintage started one day and ended another. There was no adapting to conditions.” Following Symington’s take over, each block and variety is assessed individually and harvested (and separately fermented) for optimal quality. As of 2007, all farmers have been classified and, with lots of staff training, a culture of quality over quantity introduced. 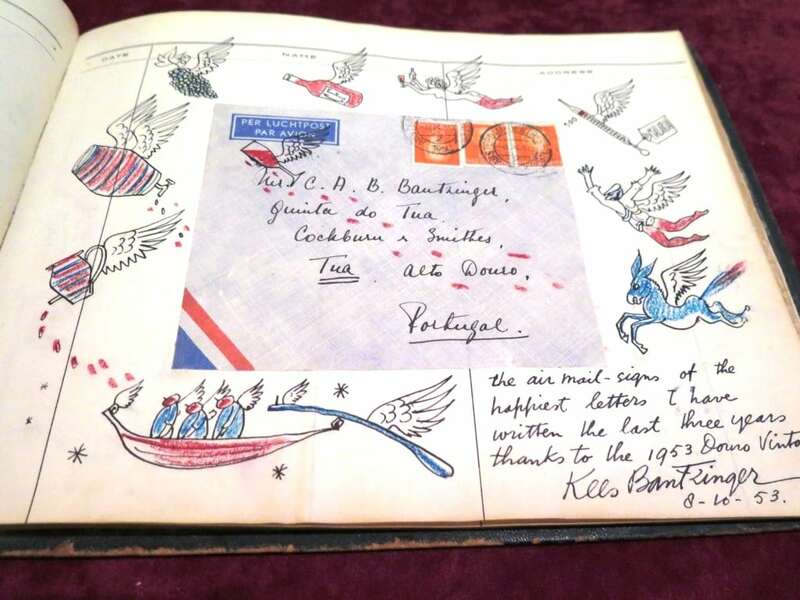 All the wines were sourced from Cockburn’s lodge in Vila Nova de Gaia, apart from the 1908 which was recently acquired from a Norfolk collector with a stash of 42 bottles – lucky man! 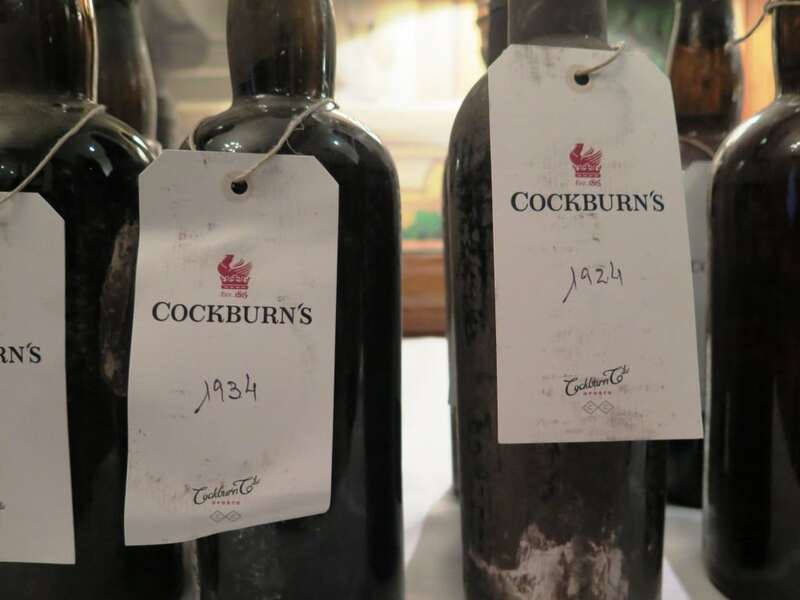 Although all wines came from a single year, not all were declared as Vintage Port – Cockburn’s had a fairly eccentric approach towards declarations! 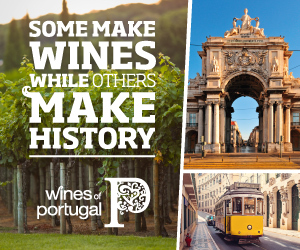 If a year was not declared as a Vintage Port I have described it as a Crusted Port. Though commercial Crusted Ports are non-vintage blends, this is the only other category for early bottled Ports which are not declared Vintage. Prior to my tasting note (with the kind permission of Cockburn’s), I have re-produced the vintage reports in the tasting booklet. 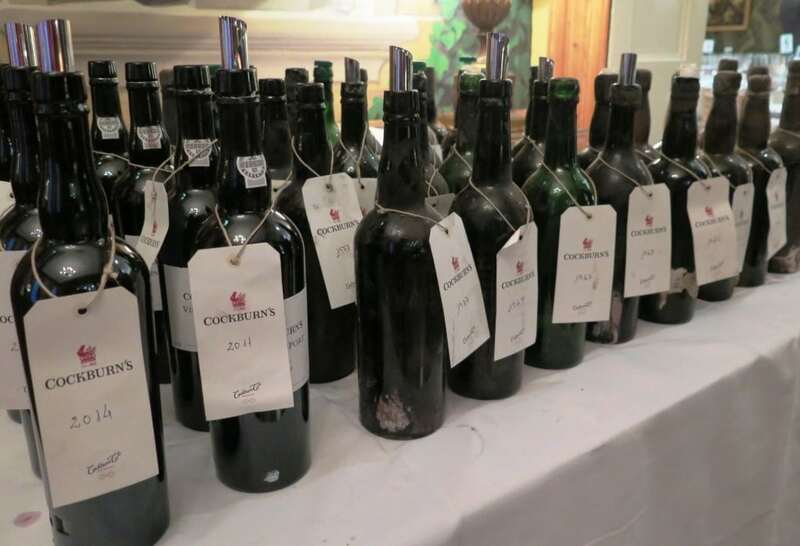 Cockburn’s vintage report: Another challenging year in the Douro, marked by unsettled weather and a huge July rainstorm that caused significant amounts of damage to the soil and farm infrastructure. Luckily, there was no hail and the vines themselves escaped unscathed. In the end, the relatively cool weather that persisted throughout August seemed to be enjoyed by the vines and was reminiscent of 2007, which in the end delivered excellent quality grapes throughout the Douro’s quintas, and although the weather remained unsettled throughout the harvest, it was clear that some excellent wines could be produced from the fruit of the years labours. “This wine is clearly in its infancy, the colour is tremendously dark with purple colour on the rim. The nose is vibrant with youth, showing very primary aromas of blackberries and violets combined with eucalyptus and hints of resin. The palate is powerful yet balanced, showing ripe tannins and mineral flavours which together create an exceptionally long fresh finish.” Charles Symington. My tasting note: This cask sample (a blend of 70% Touriga Nacional, 20% Touriga Franca and 10% Sousão) was sourced from Cockburn’s top vineyard, Quinta dos Canais and is by no means the finished article. Charles selected it because as a very good example of terroir. Although he admits to being “pretty upset” about this vintage which, until the rain, “was like 2007 come again” he says “wines were much better than expected, especially in the Doro Superior….I don’t recall a year when the differences between microclimates was so big – like two different vintages. Canais had a very good year.” Deep purple, glass staining. Floral with as yet to be integrated grippy spirit on the nose and palate. In the mouth it has fleshy, quite flashy red and black cherry fruit with orange peel, dark chocolate and a hint of bitter coffee. The tannins are velvety, quite textural and its citric acidity (a hallmark of the estate) quite impressive. Paul remarked that Sousão gives fantastic acidity to the wine (it seems to be on the up in new plantings) and some of the best lagares he has seen in the last few years are a co-ferment of Touriga Nacional and Sousão. Cockburn’s vintage report: The viticultural year was initially challenging, with rainfall 38% below average up until mid-August. 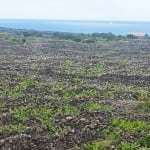 However, this was compensated by the good water reserves in the subsoil, resulting from the generous rainfall registered in the last three months of 2010. Some timely rain showers in late August and the first day of September made all the difference. Picking dates were delayed in order to allow the vines to benefit from the welcome moisture, but the grapes were harvested in superb condition, with good Baumés and ripe phenolics right through the harvest. It was immediately clear that very good wines were being made. 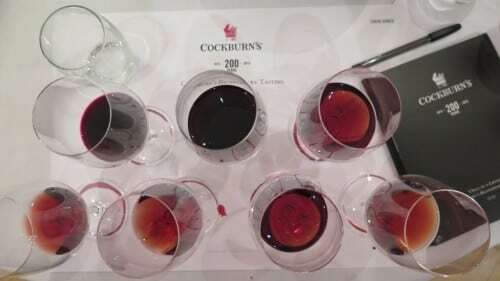 Cockburn’s 2011 Vintage Port shows a distinctive fragrant esteva (rockrose) nose, indicative of the substantial Touriga Nacional contribution to the final blend. In the mouth there is a wonderful, pure fruit quality (red cherries and strawberry) denoting the fresh acidity, which underpins the wine’s structure and balance. It is a wine of great finesse and poise, in the style of the early 20th century Cockburn’s Vintage Ports. 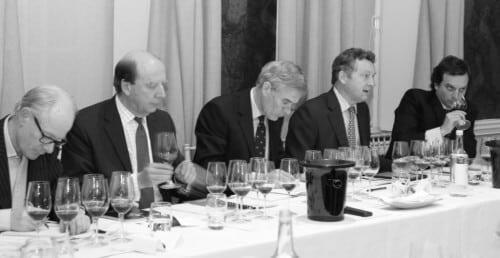 My note: Paul explained that the 2012 Factory House extensive vertical tasting of Cockburn’s Vintage Ports”strongly influenced the 2011 Vintage Port, which hadn’t been blended then” – it was bottled in the spring of 2013. The aim of this tasting (reported by Jancis Robinson MW here) was to assess Cockburn’s “DNA” and, specifically, to highlight what made the Vintage Ports of the first half of the last century so impressive. 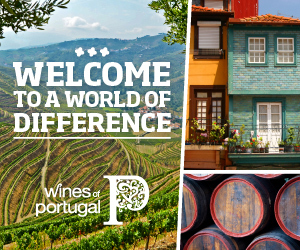 It is a blend of Touriga Nacional (55%), Touriga Franca (30%), very old mixed vines (10%) and Sousão (5%), primarily from long-standing sources Quinta dos Canais and Quinta do Vale Coelho, with a small amount from Quinta do Cachão de Arnozelo, which is privately owned by a member of the Symington family. 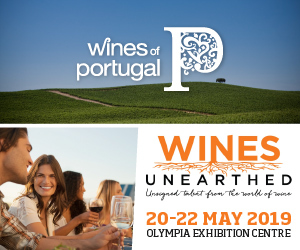 Paul explained that the Quinta do Vale Coelho component is designed to re-capture the freshness that was such a clear feature of the pre-war vintages at the 2012 event. Deep, deep purple. A tight knit nose shows a hint of orange blossom, but it’s the fruit which dominates the palate. Sweet, fleshy mocha-edged plum, succulent red and black cherry; spicy as it opens up (as I’m to discover, a signature note). 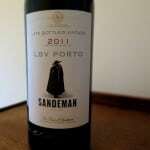 A well-defined chassis of peppery, plentiful but fine tannins maintains focus and brings length. Finishes clean, firm, dryish. Elegant despite its youthful concentration and brisk acidity (according to Paul it is significantly drier than Warres and as dry as Dows). My note: this is the Port which the Symingtons are trying to persuade the IVDP retrospectively to declare a Vintage Port. It would have been foot-trodden in lagares. Translucent plum – pale for its years (which is typical of ‘77s) – with a lively eucalypt, very menthol nose and lots of spice (of the medicinal cough sweet variety), which notes follow through in the mouth. Lovely weight of sweet plum and red cherry stone to the mid-palate with attractive (not intrusive) kirsch-like warmth, which is very much part of the body/flavour profile of this wine. Liquorice builds strongly on a spicy, well balanced finish. Impressive for a Vintage, let alone Crusted Port! My note: Paul told us “we think this is the closest to pre-war wines” and remarked it’s classic Cockburn’s – a law unto themselves in this out of synch declaration. Crimson, with good depth of colour compared with the previous two Ports. A gorgeous nose, with soaring rose petal and incense spice. It’s deliciously soft in the mouth, sweet and supple, with a gracious sweep of fruit and nut flavours (think plum almond tart) which gather race and pace along its trajectory, before tapering to a fine, very lingering star anise and liquorice scented finish – a vinous sweet sigh of satisfaction. Gorgeous. My notes: bruléed singed plum to the nose with a generous, quite soft palate with liquorice-edged squishy strawberry and red cherry fruit. It doesn’t have the structure or finesse of the ’67. Pokey spirit, something of an accelerant,makes for rather hot, compressed finish. My tasting note: a Tawny Port like hue and nose – ruddy brown, with spicy plum/plum almond tart, a distinct nuttiness and a touch of mouldy orange peel. Though this wine had some strong, very distinguished supporters, I have to admit it really didn’t fly with me. Yes, it had vigour, but for me this didn’t work in its favour given the rather impure smoky coffee grindings/ashtray fug to nose and palate, distractingly pungent spices and rather poky, hot alcohol (in both samples tasted). 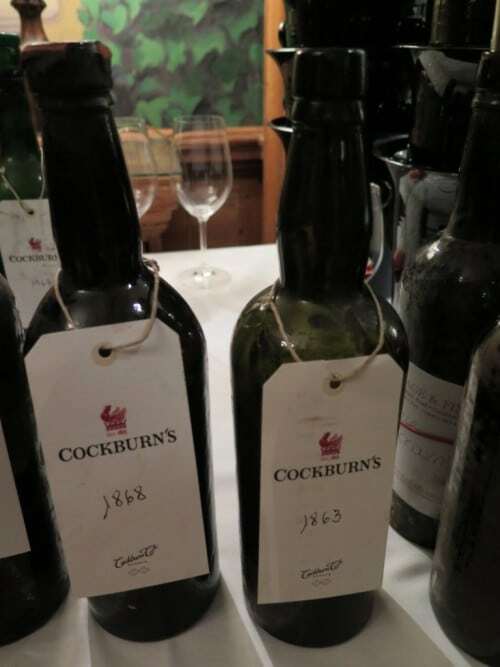 My tasting note: Although this year was almost universally declared, Cockburn’s didn’t declare. Like the ’47 it bears more than a passing resemblance to Tawny Port, here executed with a great deal more charm. In fact, it is understood that this wine was matured in a large 63 litre (!) glass vessel, so perhaps would have been more properly described as a Garrafeira Vintage Port had it been declared. It is a pale ruddy tawny hue, very pale, with caramel and peanut brittle, a little spirit and volatility on the nose. Sweetly nutty in the mouth with traces of plum jam. As it opens up, its spiciness creep up on you. A liquorice-laced finish is long and spicy if a little firm and warm, suggesting this is best enjoyed over the next few years. 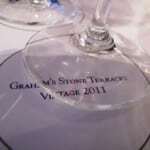 My tasting note: For many (me included) a stand out of the tasting together with the 1908. Impressively deep plum in hue with simply phenomenal fruit – so sweet and supple, joyous and charming. A mellifluous palate of squishy canned strawberries, plum preserve and glacé cherry fruit reveals layers of orange peel/marmalade, milk chocolate, mellow esteva and star anise. Spicy liquorice and subtle sous bois/woody vine hints of fern and moss build on the finish, the latter putting me in mind of Niepoort Turris 2012, a Douro DOC table wine from perhaps the region’s oldest vines. Not that this wine tastes old, quite the opposite. Lots of years left in this yet. Wow, wow, wow. My note: tawny in hue with a saffron rim; better depth of colour than a Tawny Port. Though nutty, both nose and palate are much spicier than you would expect of a Tawny Port, pungent too with esteva and a herbaceous rasp. A salty, very spicy finish is, once again, marked by liquorice. Though vigorous in profile (spice, pungency and spirit) it’s quite lean and spirity on finish, a touch hollow going back at the end. Drink up. My notes: another vintage which had strong support but I struggled with it, and for similar reasons as the ’47. It seemed very pungent indeed to me (uber-struck match sulphides) with a lack of purity (bonemeal) and elbowy, grapefruity acidity to its pot pourri palate. Ho hum…. My tasting note: an appealingly toffee-edged/crème brulee nose with esteva lift. In the mouth it reveals beautifully sweet, supple strawberry and plum – very much in line with the ‘34 and ’69. But with at least another quarter of a century under its belt there’s a nutty penumbra to its fruit – here a complexing factor – there’s not a hint of drying out. And, as with so many of the preceding wines, the spicy liquorice builds. The finish is unbelievably well balanced and elegant, resonating long, very long, on the back palate for a 57 year old, let alone a 107 year old – wowee! Absolutely deserving of its “legendary” status. My tasting note: smoky, cracked hazelnut, some pungency to the nose but well within the bounds. Although the attack is quite lean and grapefruity, with a fair wind of wood and (alcoholic) warmth to sustain it, the 1868 has a second wind, becoming purer, more confident of itself, as it opens up. With no sign of spirit or volatile acidity, it has a harmonious weight/palate presence. Is this what Ernest Cockburn meant by a stoutness? At any rate, this Port holds its ground, legs astride, arms akimbo, enjoying the space. Lovely clarity and composure. No sign of falling over just yet. 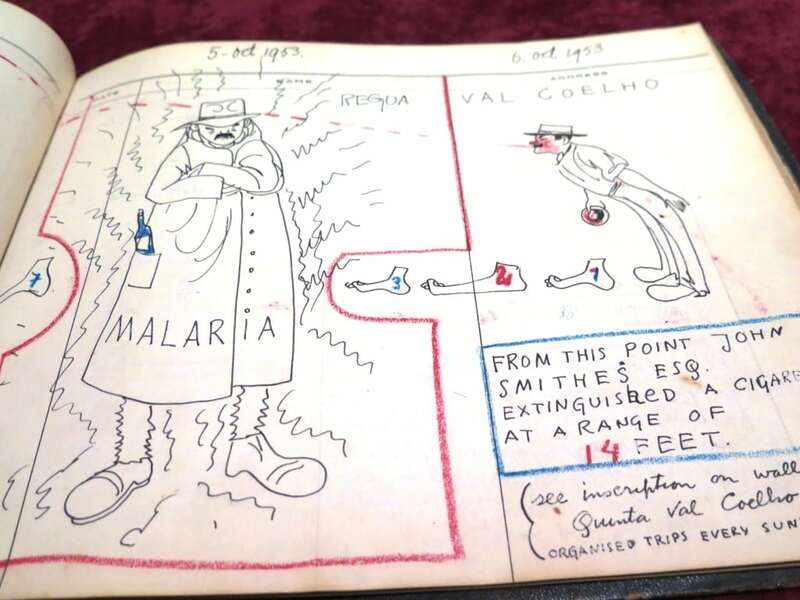 From the birth year of Andrew James Symington, the first Symington to come to Oporto, this is believed to be the very last bottle of this pre-phylloxera Vintage Port. Paul, AJ’s great grandson said, “the sense of history could not be greater – we never thought we’d be here tasting this – not in our wildest dreams did we think that four generations on from his arrival we’d be tasting a Cockburn’s wine, the reference Port from his generation.” The 1864 is pale mahogany and slightly cloudy/milky looking. The nose is gentle, quite mellow with delicate wattle (coffee-like but lighter) and sesame seed, orange peel, mouldy orange peel, spicy chutney and earthier moss and fern. It’s not as pure or solid as the 1868 and the acidity is lower, but it similarly holds its ground rather impressively as if to say I’m still here, don’t forget me. I can understand why Johnny Symington said it gave him goosebumps. I was also a little taken with his banoffee pie description going back!